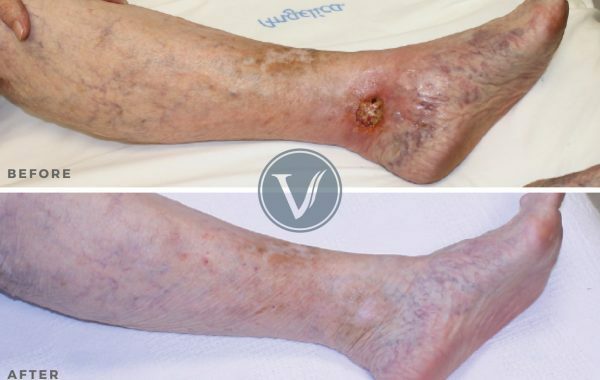 Referred to us from her general practitioner, this patient presented with painful varicose veins and ‘ropey’ veins. Listen as she shares her experiences. She recounts her first visit through her recovery from Sclerotherapy treatment, offering a great perspective of what our patients experience. When a patient reports a relief in pain immediately, that’s a big win. Varicose veins can cause pain and swelling in the legs and can be caused from a variety of issues ranging from family history to a lifestyle of sitting for long periods of time to a temporary condition like pregnancy. However, once you develop varicose veins, the vein will not recover without intervention. Conservative options are available for patients who seek treatment early, but for more intense cases, more aggressive treatments that range from laser treatments to minimally invasive surgical treatments are available.